Italian-made Fendi accessories are the must-have items for men, thanks to statement-making concepts fashioned from luxurious leathers and signature house furs. Fendi men’s belts are a necessity for creating a polished look. 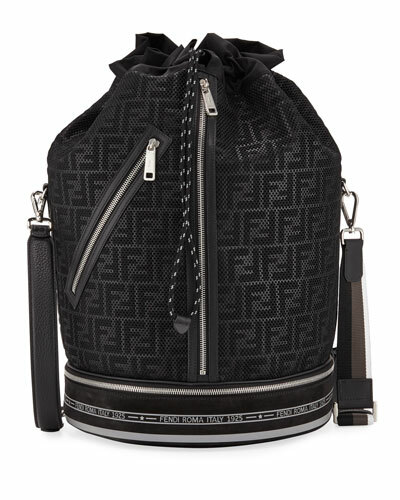 But that’s not all a man needs for well-rounded style; Fendi men’s wallets, iPhone cases, bag charms, and other accessories put the finishing touches on a well-thought wardrobe. Pull together the final details of a weekend-chic look with a handsome leather belt secured by a striped, multicolored Monster buckle or the famous double-F signature logo design; Fendi men’s belts have the power to instantly transform a look. Fendi wallets are a way to express levity with vibrant colors, patterns, and Monster designs. 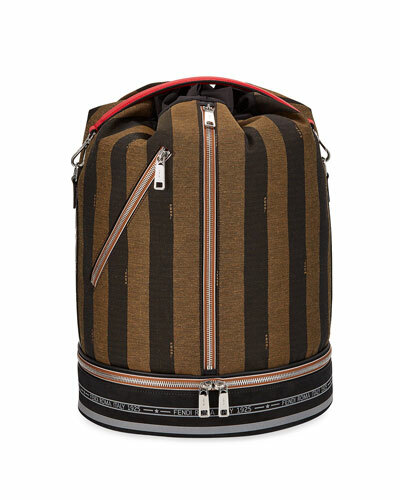 Quick getaways feel even more liberating when you have one less thing to consider, such as how you’ll pack: Fendi backpacks, Peekaboo bags, and totes are as spacious as they are stylish. The Roman house woos fashion lovers through innovation, redefined fabrics, and fine Italian craftsmanship. 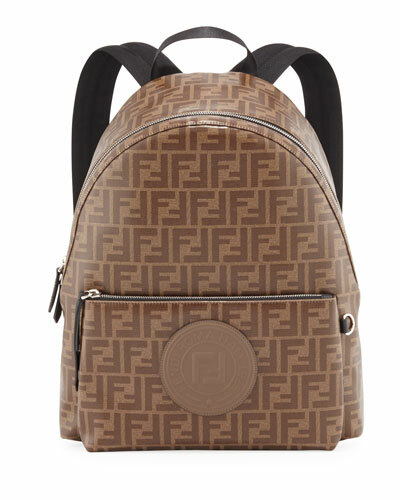 Shop our entire line of Fendi accessories at Neiman Marcus.